Matthew Lynch Pest Control is a professional pest control company based in Penrith. We carry out a range of commercial, domestic and residential pest control services in and around Penrith. From termite inspections and treatments, to treatments for cockroaches, ants, spiders and much much more. The majority of our work is carried out in Penrith and the surrounding local areas. This has given us a vast understanding of the unique local influences. 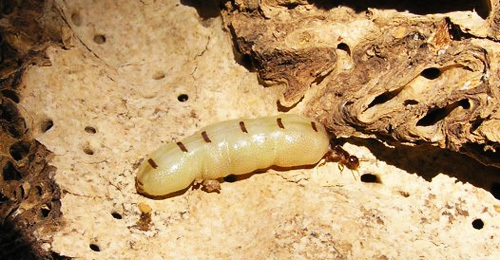 Local pest pressure and populations are greatly influenced by these often unique factors. All of our treatments are carried out in strict accordance with the current Australian Standards, are guaranteed and are issued with written warranty. Only top quality genuine products are ever used in each and every one of our treatments. We will never use cheap no name generic products. Inferior generic products will not give you the results you'd be happy with. Or will they produce a long lasting residual effectiveness that we pride our quality service on. Matthew Lynch Pest Control has been in operation for almost 15 years. During this time we have worked in conjunction with several experienced pest control operators with experience in excess of 30 years. This has given us the opportunity to grow further as a company. Absorbing a vast wealth of knowledge that is constantly utilized and expanded upon on a daily basis. This experience has enabled us to provide the best possibly quality service to all of our customers. No matter how big or small the job may be. So if you're looking for a pest control company that always goes over and above. A company that can and will guarantee to achieve the quality results you deserve. Then look no further than the professional services of Matthew Lynch Pest Control. We guarantee, you wont be disappointed.